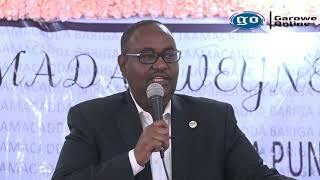 GAROWE, Puntland- Somali Federal Senator Abdirazaq Osman Hasan “Jurile” the chairman of Foreign Affairs and investment senate committee has called the Federal government to reverse its recent decision to remain neutral on the Gulf crisis, Garowe Online reports. 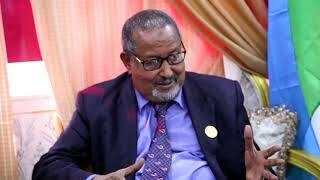 In a special interview with Radio Garowe (RG), Senator Juile highlighted about the recent rift between Gulf countries, which led Arab coalition led by Saudi Arabia, UAE and Egypt to cut ties with Qatar accusing it of funding extremist groups that stabilize the region. 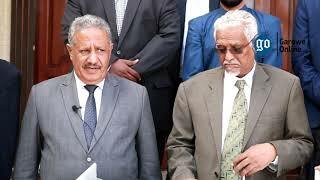 Subsequently, Somalia’s Foreign Affairs Ministry released a statement indicating country’s stand to stay neutral and called Arab countries to resolve matters through dialogue. Senator Jurile said Somalia faces two difficult options, but called to support the Saudi led coalition to protect the long political and economical relationship with Kingdom. 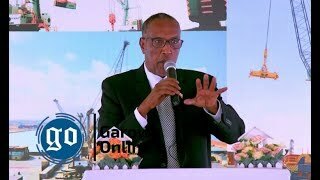 “I believe Somalia should reverse the decision, it’s not in our interest to stand neutral, UAE is an important ally in the fight against terrorism in Somalia, it support more than 1000 forces in Bosaso, also carry out military training in Mogadishu and our businessmen are connected to Dubai, UAE,” Jurile told RG. Senator Jurile expressed concerns if Somalia maintained its decision and stand neutral in the Gulf crisis, which could prompt Saudi Arabia and UAE to stop financial support and worsen the relationships. He revealed that the Speaker of the Senate held consultative meetings with Somali President Mohamed Abdulahi Mohamed Farmajo to deliberate more about effect of Gulf crisis on the country. 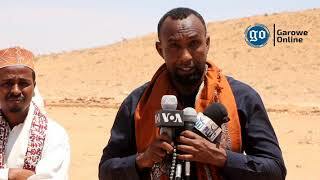 On the other, a regional political analyst and former Director of Puntland Maritime Police Forces (PMPF) Mohamed Abdirahman Farole, supported Saudi Arabia-UAE decision to cut ties with Qatar, saying the latter is accused of supporting Islamist groups and host figures that are considered threat to the interests of its neighbors. HARGAISA, Somaliland- The separatist northwestern region of Somaliland has announced that Saudi Arabia has lifted the ban on the imports of its livestock ahead of the annual Hajj, Garowe Online reports.